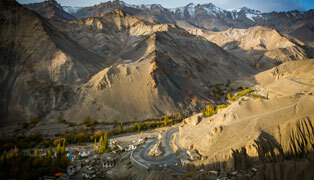 For hundreds of years, Ladakh was an autarkic society living on agriculture, husbandry and trading. Ladakh has seen an increasing number of people since 1960s with the establishment of Indian Arm Force and with the opening of tourism in 1974. There has been significant growth in tourism sectors which results in environmental degradation. 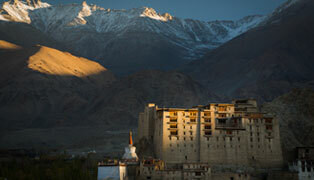 With rise of consumerism and tourism has produced an adverse effect on the ecological system of Ladakh. Due to poor waste management in the region also contribute to failure in maintaining beautiful landscape. Try to avoid using plastic bottles. Instead, buy boiled water at Dzomsa (it is also cheaper) It would be better if you ask your Guesthouse/Hotel, for filter water. When eating in restaurants, prefer dishes made from local products. Give your exhausted batteries to Dzomsa or better take them home, where there is a proper system for recycling. Ladakh does not have such facilities. Water scarcity is a big problem in Leh. Try to avoid flush toilets and prefer Ladakhi style compost toilets. Try to shower or wash with the required amount of water. Water heating systems through solar plates are mostly available at Guesthouses/Hotels. In that case, there is no need for additional heating. Give your laundry to Dzomsa as they use eco-friendly detergent and wash it in a stream which leads. Buy local products for snacks like dried apricots, apples and Yos (roasted barley). Buy biscuits from local Ladakhi bakeries instead of using imported products. Local products are mostly packed in papers and not in plastics. Kindly do not litter everywhere, try to collect the garbage’s in a bag and dispose them off in proper place. Do not waste and pollute the water, ask villagers where to wash yourself and your laundry. Take your own bottles and Micropure or another filter to clean the water from the rivers. When giving candies to children or others, collect the wrapping paper and throw it in a proper place. Ask your trekking agency if they use the green bag to get tins and bottles back to Leh. Ask your staff to use the green bag and burn other rubbish. If you trek without an agency, do the same. Take your own bottles and Micropure or any other filter to filter the water from the rivers. To boil water on stove consumes a lot of kerosene. While eating in a tented restaurant please make sure to avoid taking foods in packets. Take a small bag for your used toilet papers. Later, you can burn them. Ask your trekking agency to avoid the use of silver foil. As they use it for wrapping packed lunch, instead use napkins which can be burned after use. 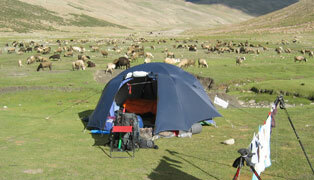 Please use the ladakhi-style toilets on the camping rather than doing open defecation. 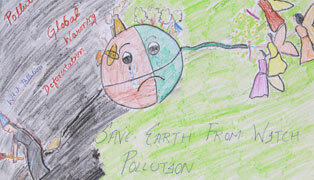 Please cooperate and help in preserving the fragile eco-system of Ladakh. Share your ideas so that we can apply in future. Thank you for your support.